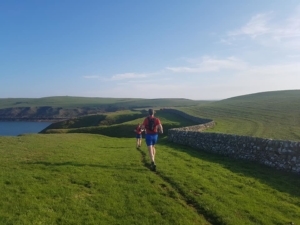 For this year’s Extravaganza, a herd of very hardy Westies braved the wilds of Dumfries & Galloway to run a relay of 114.2km exactly from Newton Stewart Youth Hostel to the most Southerly point of Scotland. 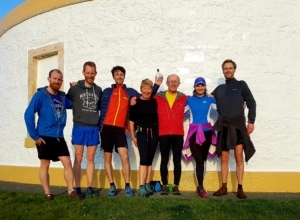 The 5.30am wake-up call meant that cheerfulness was the key selection criteria for Leg 1. Michelle (Team Plunger), Rod (Team Alkie) and Arron (Team Pinecone) did the honours. 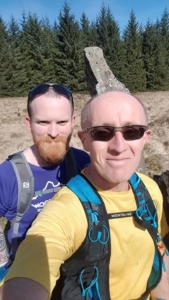 Leg 2 selection criteria involved being able to run quite fast up and down a pathless hill called Curlywee early in the morning. Ally & Ruth for Team Plunger set a punishing pace while Team Alkie lost valuable time on this leg losing Chris for 10 whole minutes. Team Pinecone took some pretty pictures. 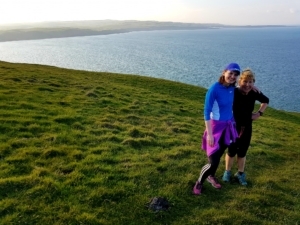 Seeing Christine sprint over the line at Leg 3 was an unwelcome wake-up call for the Westie Ladies Captain that other teams might be taking things quite seriously. 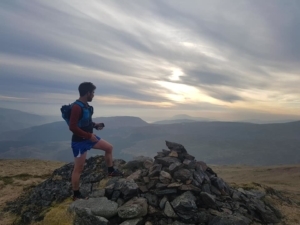 Leg 4 saw Arron come off worst in a battle with Tom F, scuppering his knee for the rest of the day. 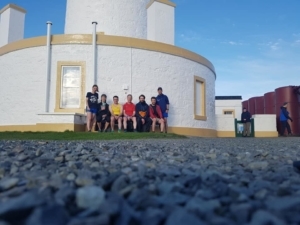 Leg 5 was LONG, with Team Pinecone suffering a wind-farm related navigation delay, bruised ribs, a wonky ankle and a cracking run for Team Plunger and selfies and sunbathing for Team Alkie. 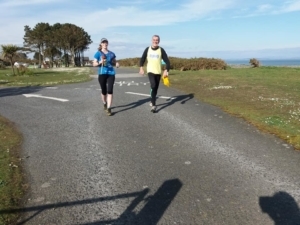 Legs 6 – 9 saw half of Team Pinecone enjoy a scenic drive and an ice cream in the sunshine. I suspect elsewhere some fast running took place. Shout out to Alex O for running astoundingly fast then getting astoundingly lost. 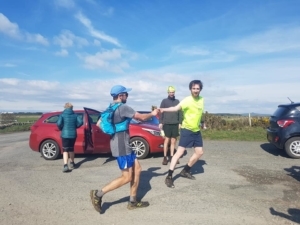 Tactics came into play on Leg 10 and with Captain Niall shuffling himself into the line-up to try and make up some time for his motley, alcohol-soaked crew. I shuffled myself straight off the line-up in response and Owen was instructed to carry a pinecone due South as fast as his legs could carry him. 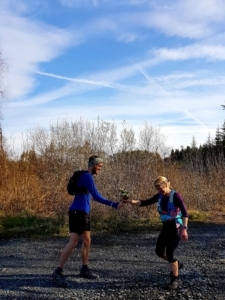 Leg 11 was run in pairs, with Grim making a special guest appearance just in time to guide partner Kerry across boulders, over barbed wire fences and through a garden. Leg 12 was notable for Iain’s Chariots-of-Fire style beach shortcut. We ran leg 13 in pairs. It was sunny and beautiful and a bit brutal after a long day out. Westies who did not run this leg should worship those who did as heroes. 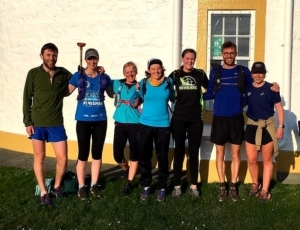 Leg 14 was the glory leg, run in full teams up to the lighthouse. All I’ll say about the outcome of the race is that the best team won.